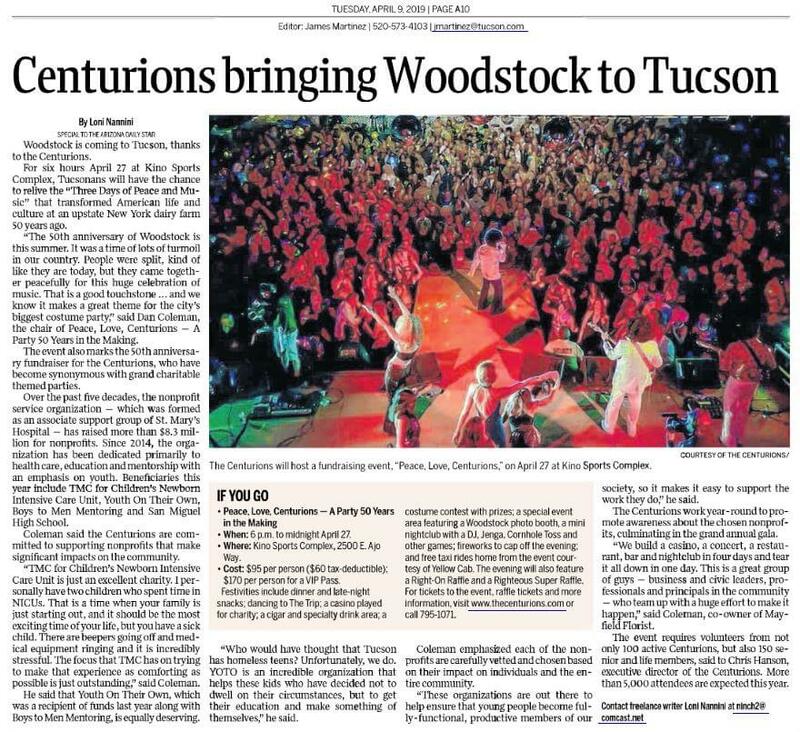 Woodstock is coming to Tucson, thanks to the Centurions. For six hours April 27 at Kino Sports Complex, Tucsonans will have the chance to relive the ‘Three Days of Peace and Music’ that transformed American life and culture at an upstate New York dairy farm 50 years ago. 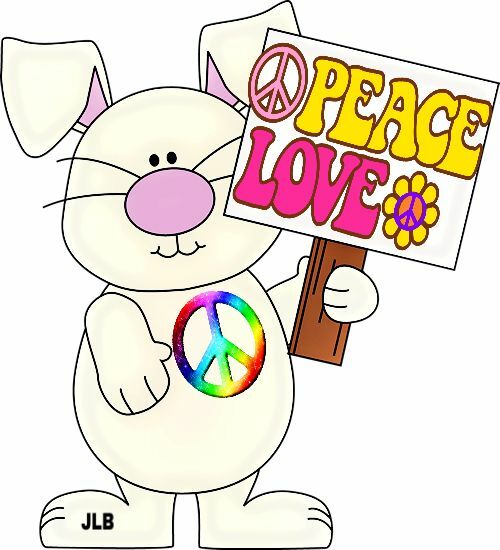 ‘The 50th anniversary of Woodstock is this summer. It was a time of lots of turmoil in our country. People were split, kind of like they are today, but they came together peacefully for this huge celebration of music. That is a good touchstone … and we know it makes a great theme for the city’s biggest costume party,’ said Dan Coleman, the chair of Peace, Love, Centurions – A Party 50 Years in the Making. The event also marks the 50th anniversary fundraiser for the Centurions, who have become synonymous with grand charitable themed parties. Over the past five decades, the nonprofit service organization – which was formed as an associate support group of St. Mary’s Hospital – has raised more than $8.3 million for nonprofits. Since 2014, the organization has been dedicated primarily to health care, education and mentorship with an emphasis on youth. Beneficiaries this year include TMC for Children’s Newborn Intensive Care Unit, Youth On Their Own, Boys to Men Mentoring and San Miguel High School. Coleman said the Centurions are committed to supporting nonprofits that make significant impacts on the community. that Youth On Their Own, which was a recipient of funds last year along with Boys to Men Mentoring, is equally deserving. ‘Who would have thought that Tucson has homeless teens? Unfortunately, we do. YOTO is an incredible organization that helps these kids who have decided not to dwell on their circumstances, but to get their education and make something of themselves,’ he said. Coleman emphasized each of the nonprofits are carefully vetted and chosen based on their impact on individuals and the entire community. ‘These organizations are out there to help ensure that young people become fully- functional, productive members of our society, so it makes it easy to support the work they do,’ he said. The Centurions work year-round to promote awareness about the chosen nonprofits, culminating in the grand annual gala. ‘We build a casino, a concert, a restaurant, bar and nightclub in four days and tear it all down in one day. This is a great group of guys – business and civic leaders, professionals and principals in the community – who team up with a huge effort to make it happen,’ said Coleman, co-owner of Mayfield Florist. The event requires volunteers from not only 100 active Centurions, but also 150 senior and life members, said to Chris Hanson, executive director of the Centurions. More than 5,000 attendees are expected this year. The Centurions will host a fundraising event, ‘Peace, Love, Centurions,’ on April 27 at Kino Sports Complex.